Visor scratches from stone chips but not serious, can be expensive to buy and replace, but you get what you pay for! I have owned my Shark S500 helmet for about 10 months and it is fantastic to wear - not sweaty in the summer but warm in winter! The air vents give good airflow circulation but at the same time it's not a wind tunnel. It never leaks in the rain, and clears fog fast on your visor - an excellent overall helmet. 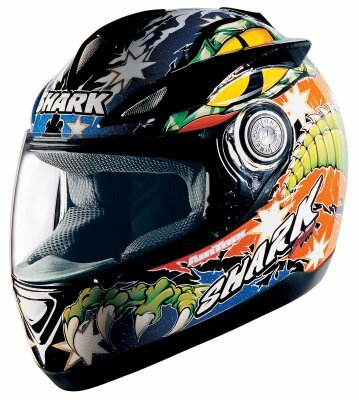 Others try to match it but cant - the last helmet I wore was a Nitro and they are wind tunnels, they leak in the rain and give you ear ache from the hard padding and all the flimsy plastic inside I didn't feel safe wearing that one but the Shark is different. Hey, nice, it looks like Formula one helmet, here is more info about it http://www.buzzfeed.com/ethandunwill/college-survival-10-most-useful-websites-for-stud-1u1f7 Design of yours - awesome! There is no doubt that the Honda Silverwing 600 Scooter is one of the best scooters. I have wrote various reviews on this vehicle which are published at purchase research paper and several other websites. However, the review you have posted is also something very great. I found a store which stocks them called www.thevisorshop.com, here is the link to the page..
Join in and write your own page! It's easy to do. How? Simply click here to return to Motorcycle Helmets Reviews.